We urge truck accident victims to seek legal counsel immediately after the incident to promptly collect evidence of errors and negligence. Our attorneys at Foley Law Firm understand the initial steps we must take to ensure the greatest chance of obtaining fair compensation. Evidence can deteriorate quickly, so it is important to hire a trucking accident attorney immediately following an accident in or around Scranton, PA. Our attorneys are capable of acting quickly and effectively to gather the necessary evidence to build a strong case. If you were injured in a trucking accident, contact our law firm right away. Who Is Responsible in a Trucking Accident? 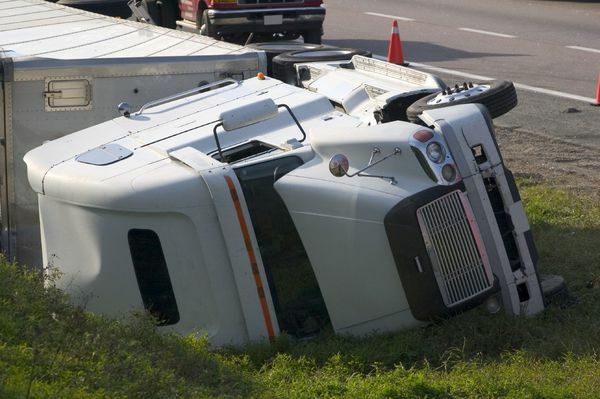 Trucking accidents are typically much more complex than accidents involving cars. This is because there are more parties involved than most people realize. The involvement of multiple parties can make it difficult to discern who exactly is responsible. Fortunately, our attorneys are experts in trucking accident cases. With a thorough investigation, we can determine who is liable and build a solid case against them. We urge truck accident victims to seek legal counsel immediately after the incident to promptly collect evidence of errors and negligence. Truck Driver: The trucker is perhaps the most often suspected when an accident occurs. If the driver skipped breaks and rest stops, or used drugs or alcohol while driving, he or she would be responsible. Sometimes, however, accidents are out of the truck driver’s control. Trucking Company: The trucking company may be liable if they failed to properly train the driver. They could also be liable if they imposed unrealistic deadlines that did not allow for adequate rest. Truck Maintenance Company: If the company responsible for performing maintenance on the truck failed to do their due diligence, an accident could result. If a mechanic overlooks problems like worn breaks or tires and an accident occurs, the maintenance company would be at fault. Truck Manufacturer: As with other types of motor vehicles, sometimes a truck is released to market with a defective part. There could be a problem with the breaks, steering, and more. These defects can cause serious accidents and often lead to recalls by the manufacturer. Why Is it Critical to Contact an Attorney Immediately? Time is of the essence following a trucking accident. As with other types of personal injury claims, the statute of limitations for claims involving a trucking accident is two years. Unfortunately, evidence can deteriorate much more quickly than that. Federal regulations only require companies to maintain drivers’ and maintenance logs for six months following an accident. This means if you do not file a claim within that time, a lot of crucial evidence could end up destroyed. By contacting our office immediately, we can promptly collect all evidence. This makes it easier to determine which party is responsible. Contacting us early on also protects you from settling with the insurance company too quickly. When you settle quickly, it is often for far less compensation than you actually deserve. Our attorneys are specially trained to analyze trucking accidents from every angle quickly and effectively. We will ensure you receive the compensation you rightly deserve. If you or your loved one has suffered serious injuries in a trucking accident, contact our law office today to book your initial consultation. One of our attorneys will meet with you personally to review your case in detail and discuss your legal options.